I have had a quick play with the Stampin’ Up! envelope punch board today. In my last order, I had Rich Razzleberry and Pink Pirouette card, colours I had not tried before. They are beautiful and I think they look lovely together. The box is based on the exploding gift box I wrote about while ago, but I have stuck it with glue dots so it does not explode. I started by stamping in Smokey Slate using the large stamp from the Flowering Fluorishes set in as random a design as I could. 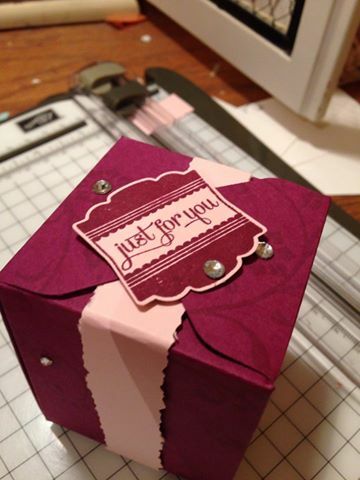 Then I cut the card to size, scored and punched and then assembled the box. Once I had stamped the sentiment, using one of the Label Love stamps, I added a few little sparkles with the basic rhinestones in various sizes and then hit a snag. I do not have any ribbon of a suitable colou. The box looked unfinished. Grabbing a strip of Pink Pirouette card and some pinking scissors I made a paper ribbon, wrapped it around the box and then popped on the sentiment. Ta da! 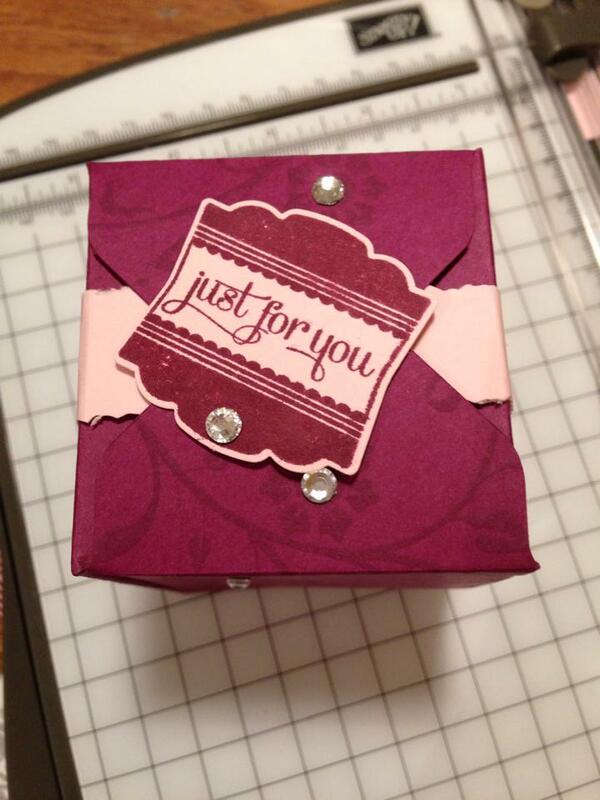 A small, pretty pink gift box.